The LifeSpan TR 800-DT7 treadmill supports up to 300 pounds and is rated for 3 hours of use per day. 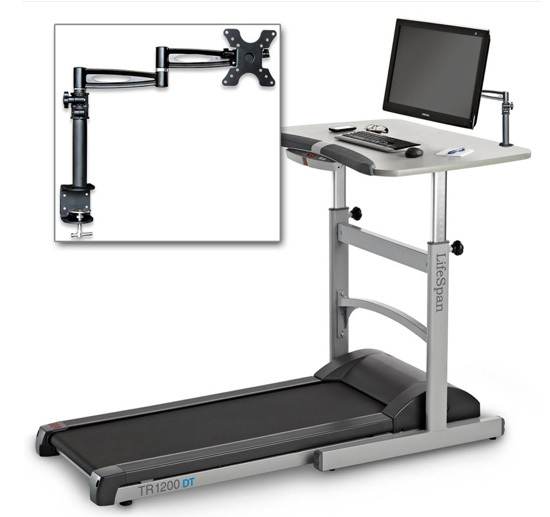 If you don't need to share your treadmill desk or are sharing with others of similar height, check out the LifeSpan 800-DT500 manual model. If you are looking for a heavy duty treadmill with a higher maximum daily usage rating, check out the LifeSpan TR 1200 or TR 5000 series.